AirPlay allows you to mirror your iPhone screen (or iPad screen) on your Mac or Apple TV. However, what if you have a Windows PC? You can still use AirPlay with the help of a free Windows app called LonelyScreen. LonelyScreen is an easy-to-use AirPlay receiver you install on your PC. You don’t need to install anything on your iPhone or iPad. 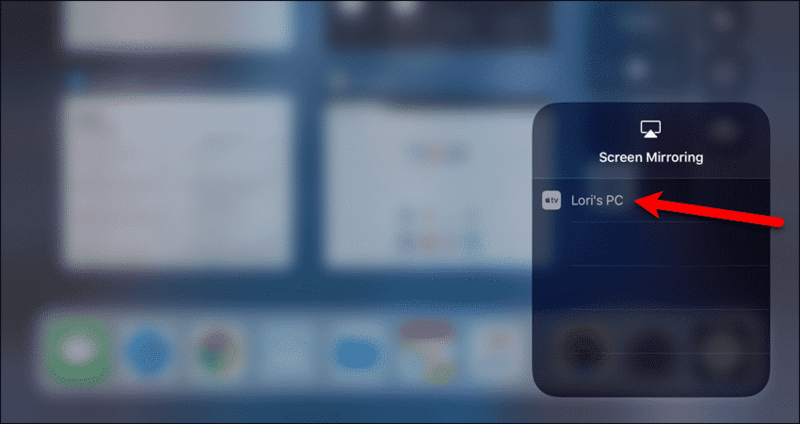 LonelyScreen uses AirPlay to communicate with your device and allows you to view your iPhone’s screen contents on a bigger screen, including movies and music. 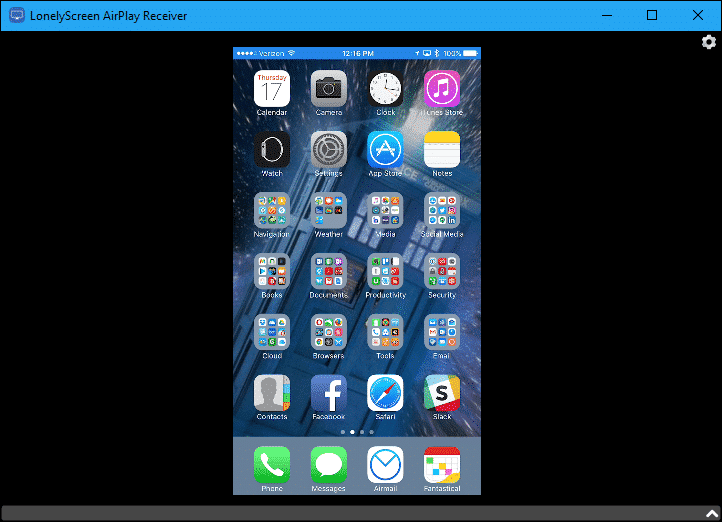 Today we’ll show you how to set up LonelyScreen and use it to mirror your iPhone screen on your Windows PC. We’ll look at mirroring your iPhone screen in iOS 10 and mirroring an iPad screen in iOS 11. 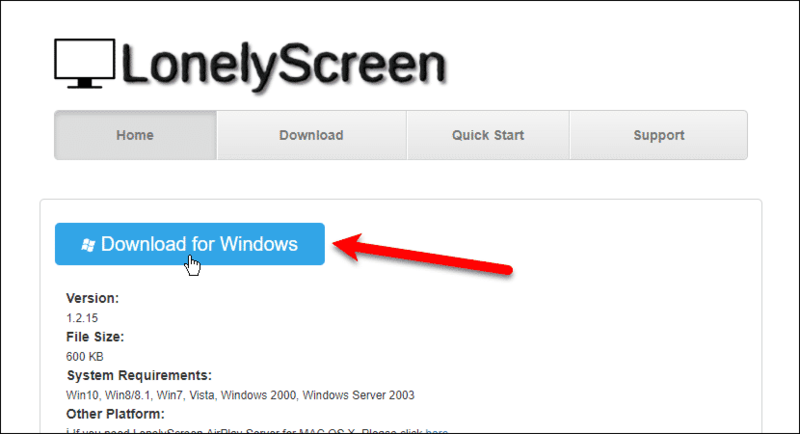 To begin, download LonelyScreen and install it on your Windows computer. If the “User Account Control” (UAC) dialog box displays while you’re installing LonelyScreen, click “Yes” to continue. You may not see the “User Account Control” dialog box, depending on your settings. We don’t recommend disabling UAC entirely, however. 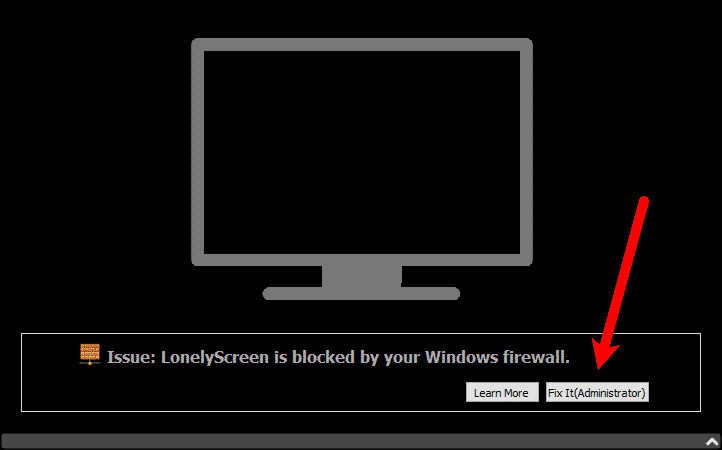 If you’re running Windows Firewall, you might get a notification when you install LonelyScreen indicating Windows Firewall has blocked some features. Choose the types of networks you want to allow LonelyScreen to communicate on. Public networks are not recommended because they are not very secure. LonelyScreen runs automatically once installed. 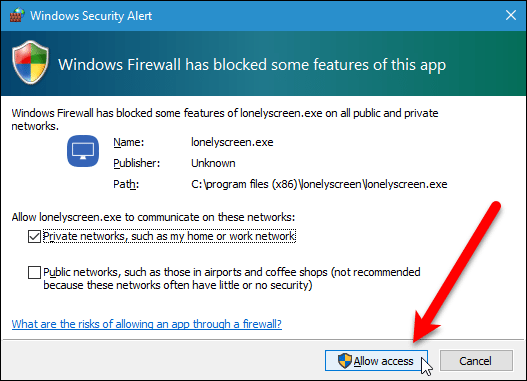 When you see the above Windows Security Alert dialog box, you will also see the LonelyScreen main window with a notification about your firewall blocking LonelyScreen. Click “Fix It (Administrator)“. Once LonelyScreen is running and you’ve unblocked it in your firewall, if necessary, the main screen displays. 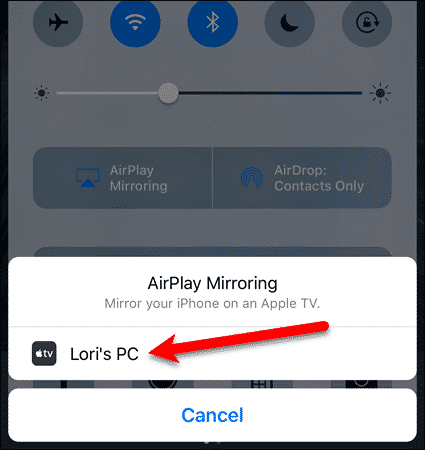 By default, the “Server Name” is “LonelyScreen” This name will display on your iOS device as an AirPlay receiver in the screen mirroring feature. To change the “Server Name“, click on the name in the box and type a new name. Then, click “Save“. Now, you’ll mirror your iPhone screen to your PC. To do this, LonelyScreen must be running and connected to the same WiFi network as your iPhone. You can minimize LonelyScreen, but don’t exit the program. Swipe up from the bottom of your iPhone to access the Control Center. Then, tap “AirPlay Mirroring“. 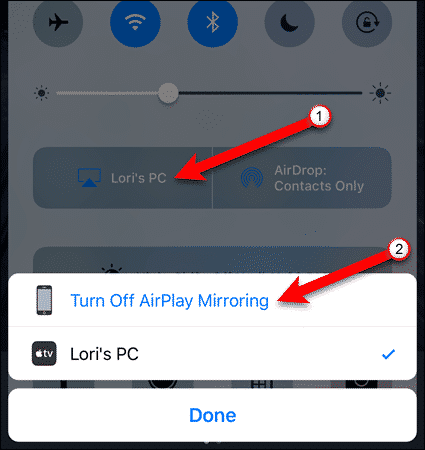 Your Windows PC displays on the “AirPlay Mirroring” dialog box that displays. It’s labeled as an Apple TV device, but don’t worry. It will still work. Tap on your PC’s name on the dialog box. You’re returned to the Control Center. 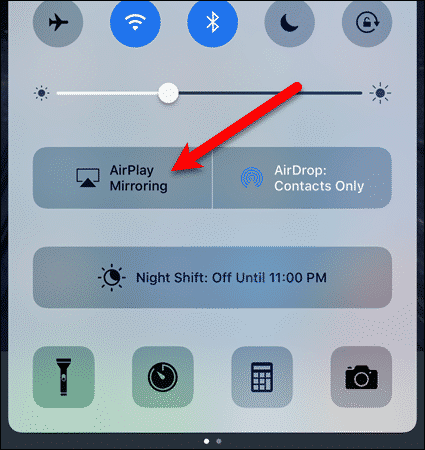 The name you assigned to the LonelyScreen AirPlay Receiver on your PC now displays on the “AirPlay Mirroring” button on the Control Center. Swipe down to close the Control Center. 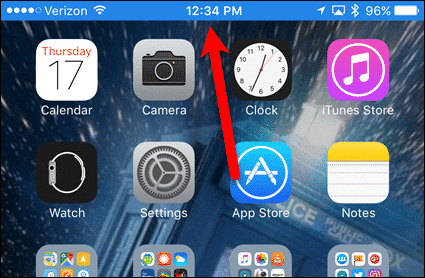 While you’re mirroring your iPhone screen, the status bar at the top of screen turns blue. Whatever you do on your iPhone displays in the LonelyScreen AirPlay Receiver window. You can enlarge the LonelyScreen window to make your iPhone’s screen larger on your PC’s screen. To turn off AirPlay mirroring on your iPhone in iOS 10, open the Control Center and tap the button with your PC’s name on it. Then, tap “Turn Off AirPlay Mirroring“. You can also stop mirroring your iPhone from your PC. To do this, click the gear icon in the upper-right corner of the LonelyScreen window and select “Exit LonelyScreen“. 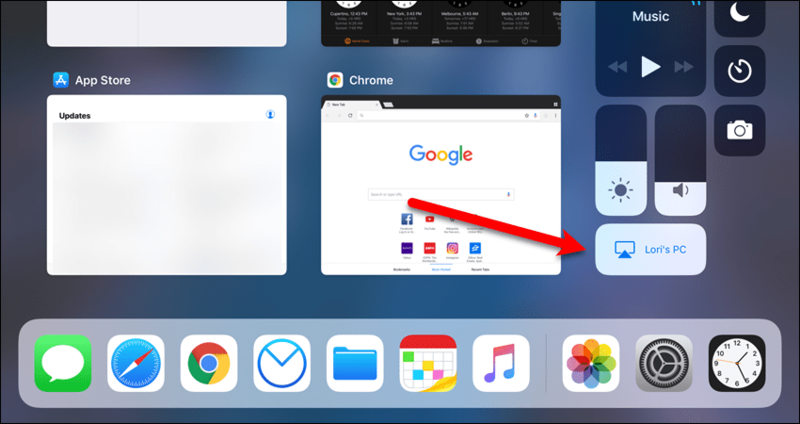 In iOS 11, swipe up from the bottom of the screen and tap “Screen Mirroring” on the Control Center. We’re using an iPad as an example this time. 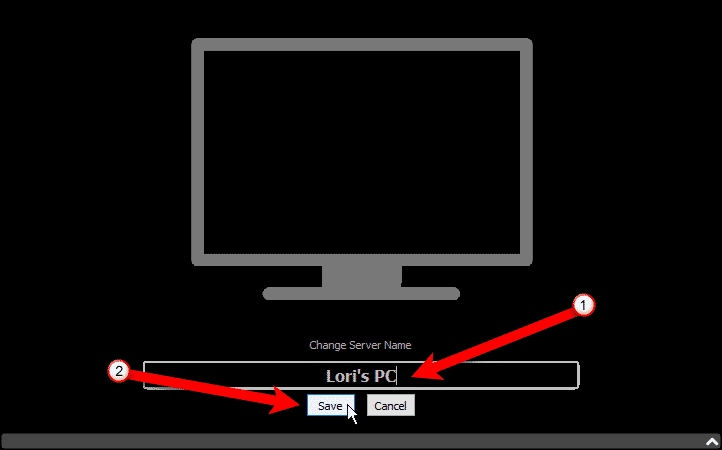 On the “Screen Mirroring” dialog box, you’ll see the name you entered as the “Server Name” in LonelyScreen. Tap on that name. Then, tap anywhere off the “Screen Mirroring” dialog box, or press the Home button, to return to the Control Center. The name you assigned to the LonelyScreen AirPlay Receiver on your PC now displays on the “Screen Mirroring” button. Tap the Home button, or any empty space, to close the Control Center. 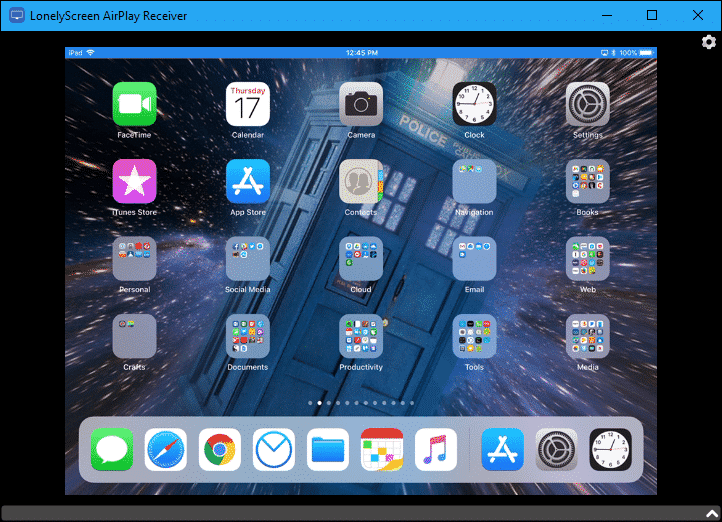 Whatever you do on your iOS 11 device displays in the LonelyScreen AirPlay Receiver window. 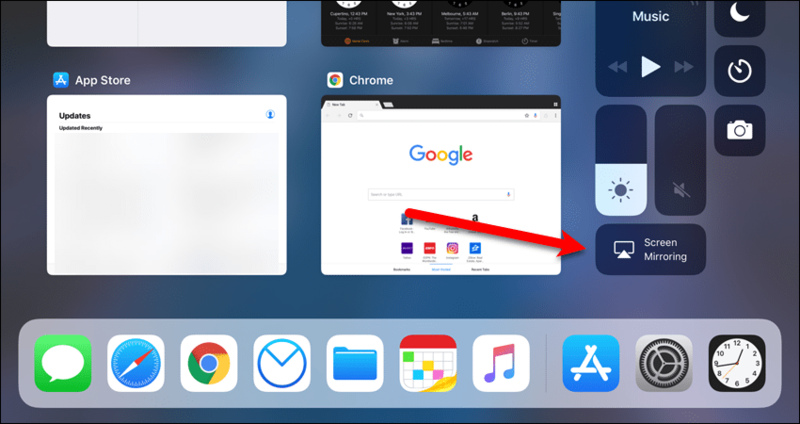 You can enlarge the LonelyScreen window to make your iOS 11 device’s screen larger on your PC’s screen. 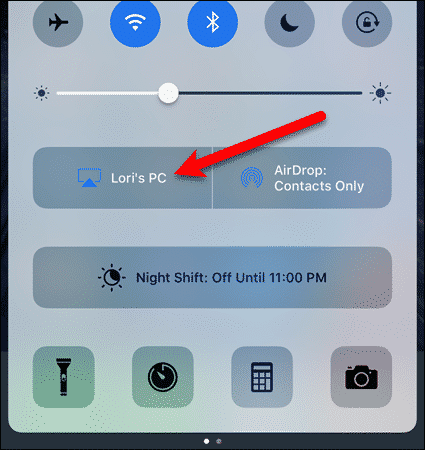 To turn off AirPlay mirroring on your iOS 11 device, open the Control Center and tap the button with your PC’s name on it. Then, tap “Stop Mirroring“. You’re returned to the Control Center. You can also stop mirroring your iOS 11 device from your PC. To do this, click the gear icon in the upper-right corner of the LonelyScreen window and select “Exit LonelyScreen“. Have you found another way to mirror your iOS device’s screen to your Windows PC? What have you used screen mirroring for? Let us know in the comments.